Stéphane Besançon answers our questions about the crisis facing refugees and displaced people living with diabetes worldwide. Earlier in the year, IDF launched the Managing Diabetes in Humanitarian Settings project, a multi-stakeholder initiative designed to raise awareness about the challenges associated with preventing and managing diabetes in humanitarian settings. Encouraging action for positive change, improving health services and ensuring access to essential medicines for displaced people with diabetes are a few of the challenges faced. Stéphane Besançon has supported IDF‘s initiative since its inception. He has many insightful views about the crisis facing refugees and displaced people living with diabetes worldwide, and answers our questions about why, how and what we must do. 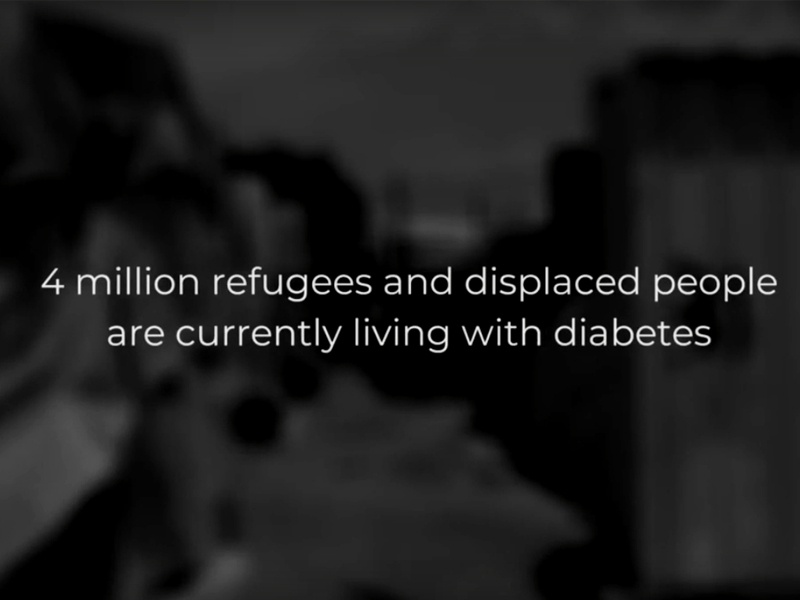 What are the main challenges facing refugees working with diabetes? In case of a humanitarian crisis or emergency, it is vital to differentiate between two things: the acute phase, i.e. when people are in a conflict zone or in a place where the access to treatment is almost impossible or very difficult. In this instance, the key for people with chronic diseases such as diabetes is to gain access to treatment, and notably for people with diabetes, to gain access to insulin, as some people may die if they remain without access to insulin for more than 24 hours. 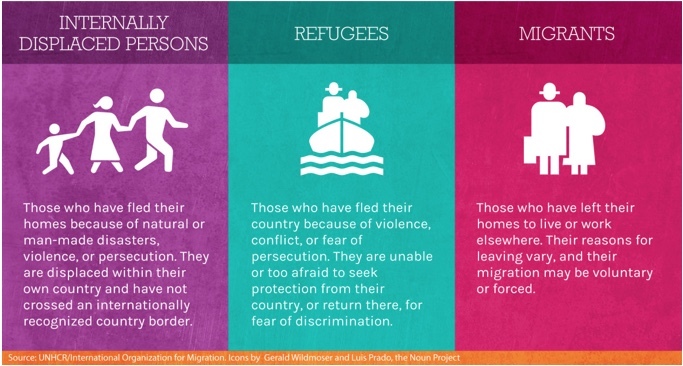 When it comes to refugees or displaced people who have arrived at a fixed location where there might be more of a structure in place, the challenge is, in addition to providing insulin (and survival), to also supply blood glucose strips and to provide the education that will allow the management and prevention of complications. It is important to note that one of the challenges when people are on the move during displacement is to manage all the acute diabetes complications such as diabetic ketoacidosis (DKA), which often leads to coma. In this instance, the imbalance in the blood sugar needs to be managed which is very difficult. Nevertheless, the key priority is the access to treatment. What needs to be put in place to meet the needs of people living with diabetes in humanitarian settings? The first priority is to set up the necessary logistical chain, such that insulin and all key anti-diabetic medicines, those that help survive, reach the crisis zones as soon as possible. It is also important to work on the whole chain, so that people working on the humanitarian response are able to take care of people with diabetes and their complications. How would you describe the humanitarian response at present? The humanitarian response today and generally the response to crises is insufficient today, especially when it comes to chronic diseases. There are many examples. Looking at what happened in Mali in 2012, none of the organisations that coordinated the humanitarian response or the field organisations were adequately prepared to take care of chronic diseases. Either the medicines supply chain was not in place, so it was impossible to obtain constant and regular supplies (diabetes is a chronic disease which requires ongoing supply of medicines) or the medical staff or the personnel who managed the response were not trained to deal with these diseases. Generally, the humanitarian response tends to focus on what is considered a priority and often, even though one could say that chronic diseases are a priority from an epidemiologic viewpoint, they are barely or not at all taken into account. For example, for the country humanitarian response document led by the UN in Mali, the only project that was not adopted was a project designed to fight diabetes in 2012 and 2013 on the basis that it was not a priority and did not necessitate an urgent response. We know that if people are not provided with treatment or insulin they will die, so there is a need for a real paradigm shift and a need to convince decision makers that tackling chronic diseases has to be a priority in the coordination organisations and in all national response plans. Another important challenge for the coordination of the humanitarian response is of course the funding of this response. If we want organisations to be in a position to buy and supply insulin and other medicines, as well as to deploy staff, funding is imperative and chronic diseases must be included in the planning of the funding of the humanitarian response. Our recommendation, based on our experience of the Malian crisis, is that all humanitarian response agencies need to develop a strong and powerful message underlying that chronic diseases are important and highly prevalent, and need to be prioritized. It is also vital to highlight the need for continuity of care, which should translate not only in the drafting of documents and recommendations but also in the provision of adequate funding. Only when this is in place will field organisations be able to have adequately-trained staff and provide essential medicines and care. Stéphane Besançon is CEO, Santé Diabete, and Steering Committee Member of IDF’s Managing Diabetes in Humanitarian Settings project.